Track 7 is releasing their Breakfast Beer series this month, and The Good Hop is here for it! We'll be tapping 4 Track 7 beers, including: Second Breakfast - an Imperial Stout with maple, cinnamon and coffee, Strudel Berry - a kettle sour with boysenberry and lactose, Brewer's Brunch - a 75-25 blend of Second Breakfast & Strudel Berry, and Another Beer in the Hall Hazy DIPA! 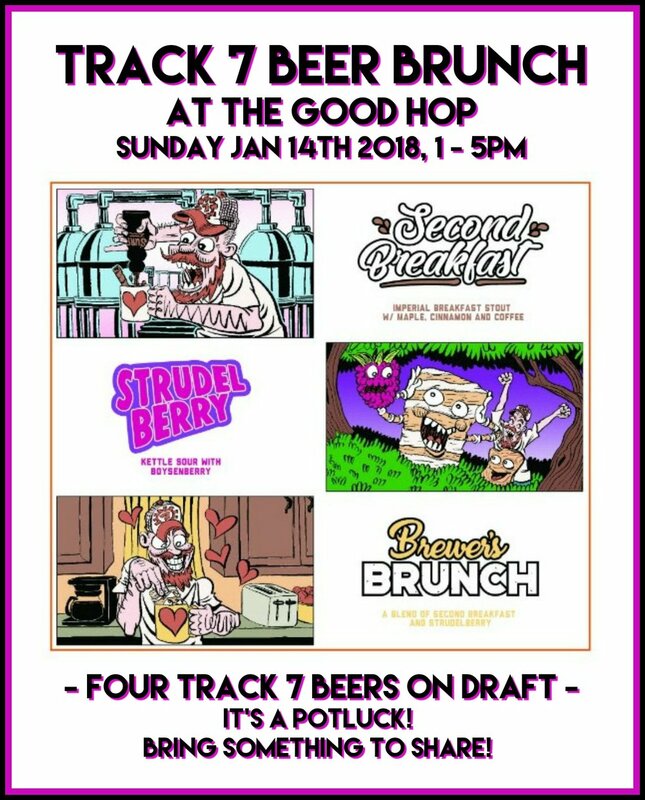 To add to the fun, we're doin' it up Brunch-style at The Good Hop on Sunday, January 14th from 1pm - 5pm. It's a potluck, so bring something yummy to share, and let's sip on some breakfast beers and munch on some brunch together. Cheers!